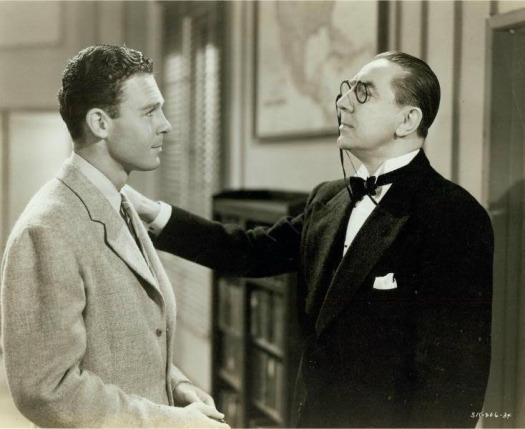 The 37th film in Mill Creek’s Fabulous Forties box set was 1940’s The Devil Bat, which Gary Loggins reviewed on this site back in October. Since, for the most part, I agree with Gary’s review, I’m going to recommend that you go read it and then I’ll just add a few thoughts of my own. The Devil Bat is usually described as being one of the films that Bela Lugosi made during his decline, even though he made it just a year after appearing in a supporting role in the Oscar-nominated Ninotchka. Lugosi plays Dr. Paul Carruthers, a small-town chemist who uses radiation to create a gigantic bat that he unleashes on everyone who he feels has wronged him. The bat targets anyone who makes the mistake of wearing an aftershave lotion that Carruthers has created. I would argue that there is a hint of genius to be found within The Devil Bat. First off, there’s the fact that the giant bat is so clearly fake that it actually becomes rather charming. Wisely, the film makes no effort to convince you that the bat is real. Whenever that big, fake bat is lowered in on a bunch of often-visible wires, it works as almost a Brechtian alienation device. In much the same way that Godard used jump cuts in Breathless, Devil Bat uses that big, fake bat to remind the audience that they are watching a film. As a result, the audience has no choice but to think about the conventions of the horror genre and how their own world view has been shaped by watching movies like Devil Bat. The other hint of genius is the satirical masterstroke of casting Bela Lugosi as a small town chemist. 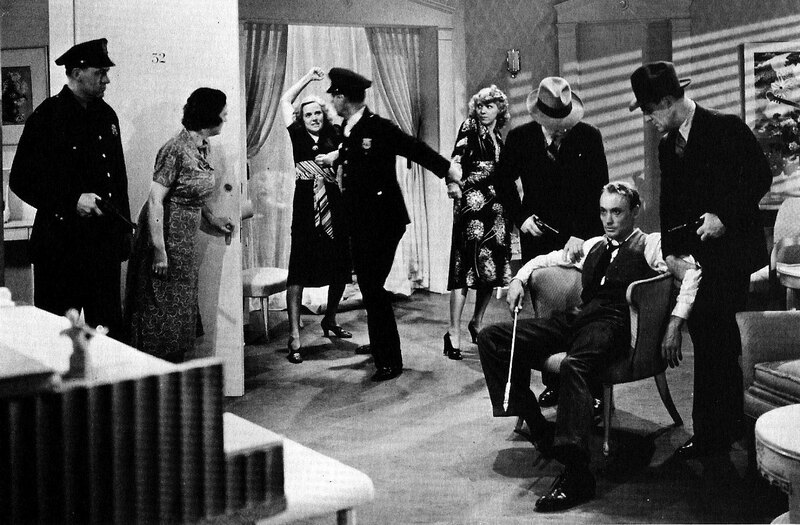 Lugosi remains Lugosi, regardless of what role he plays. 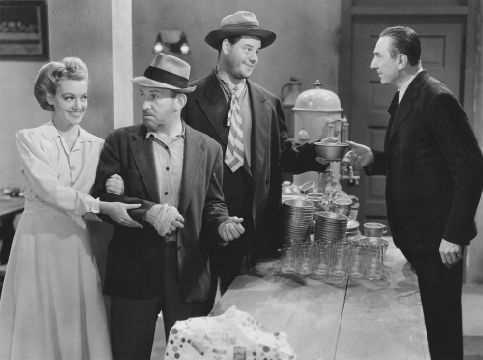 When the film’s characters accept, without even a second glance, that Bela Lugosi, with his thick accent and his theatrical acting style, is a humble suburbanite, the film becomes a perhaps inadvertent satire of American conformity. Needless to say, Lugosi was always a far better actor than he has ever been given credit for being. In The Devil Bat, he plays Dr. Carruthers with a weary sense of resignation. Carruthers never becomes a standard evil villain. Instead, he’s a man who has been so beaten down by life that he now see no other option beyond using a giant bat to kill those who he feels has betrayed him. Much as he would in Ed Wood’s Bride of the Monster, Lugosi brings an almost redemptive sadness to his mad scientist. 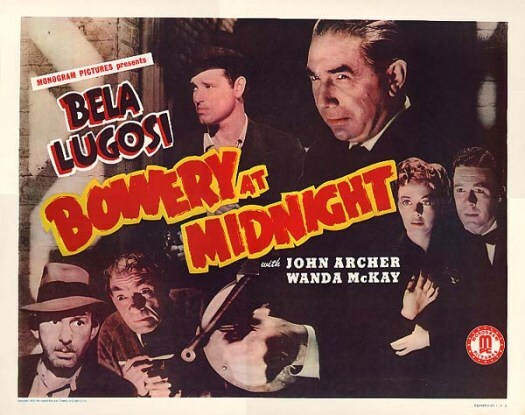 The end result is that poor, misunderstood and underestimated Bela elevates the entire film. I’m writing this post while battling a nasty case of the flu, so it’s probably going to be a short one. 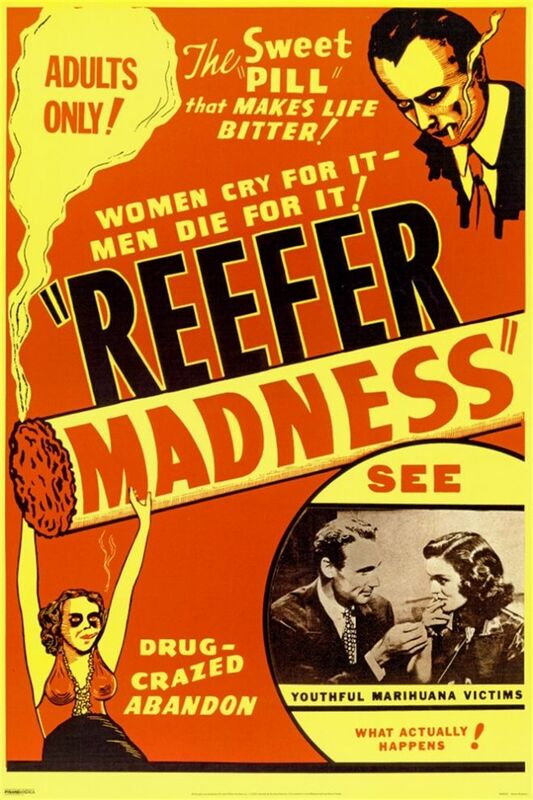 That’s okay though, because really, what can I say about REEFER MADNESS? It’s terrible filmmaking, and dull as dishwater. There are plot holes so wide you could drive a semi through them. This little exploitation number would’ve been long forgotten after making the rounds on the grindhouse and roadshow circuits, until it was rediscovered by the stoner crowd in the 70’s and turned into an ironic midnight cult movie.